Thank goodness for twitter! 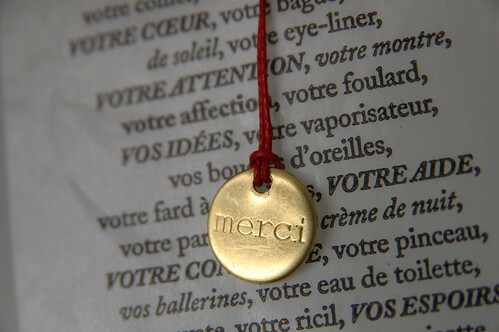 Without it, I never would have found out about Merci, a very new & amazing concept boutique that was just down the street from our apartment in Paris. Thanks Martina for the fantastic tip. This was definitely one of my favourite shops of the whole trip. 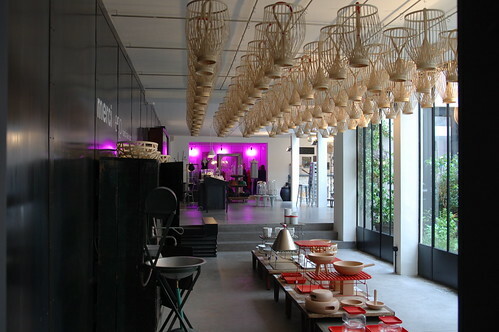 It is set in a beautiful three floor space that was previously a factory. 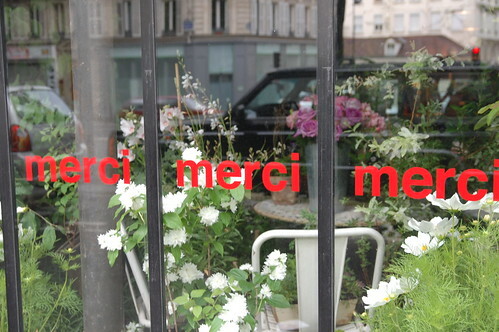 Merci is a flower shop, used book store and cafe. 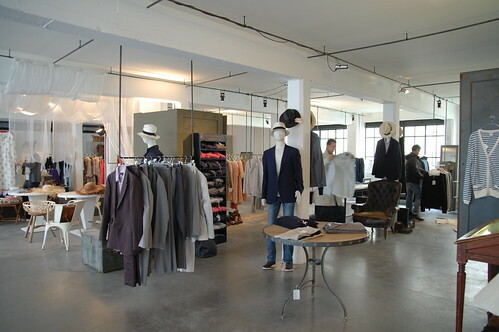 They also sell home furnishings, clothing (men’s, women’s and children’s), fabric and perfume. 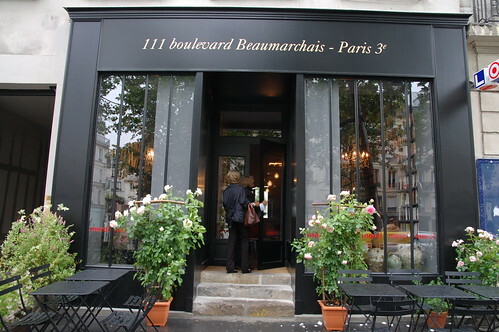 If I lived in Paris, I would shop here all the time. (or I would try to move in) I loved everything they had. The shop is owned by the couple who started Bonpoint which happens to be my favourite children’s clothing shop. (mostly because I wish I could wear the lovely clothing it sells) Merci is also a not-for-profit operation, all the proceeds go towards children’s charities. Yes, this shop is incredible in every way. My photos are not that great, I was too busy oohing and ahhing over everything. I just found this set on flickr that really shows you how drool-worthy the shop is. Her blog is also a treasure for things about Paris. Yes, I am making notes for my next trip back. 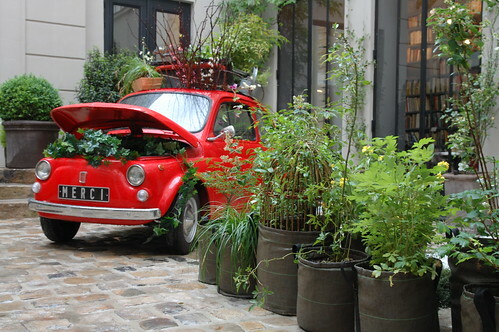 One of the things I saw at a few places in Paris were these Bac Sacs for plants. Essentially they are fabric buckets made with 100% recyclable materials. They have handles on them, so you can hang them on your balcony or wall. I think it’s such a fantastic idea and I’m going to try to make some myself. If you go to Paris (or if you live in Paris, Elise!) 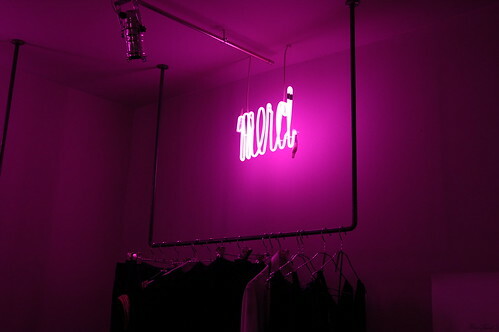 you MUST go to Merci. You will see lots of pretty things (and buy some of them) and thank me. Wow – looks amazing. I’m drooling. I spent two years in and out of Paris constantly and never knew about this place. Now, I’m stuck in North America and can’t dream of anything but going. Hélas! Thanks for letting me know about this gem. I’m sure to return to Paris and visit this place. Very very soon. Oh. My. God. This is so so so pretty. 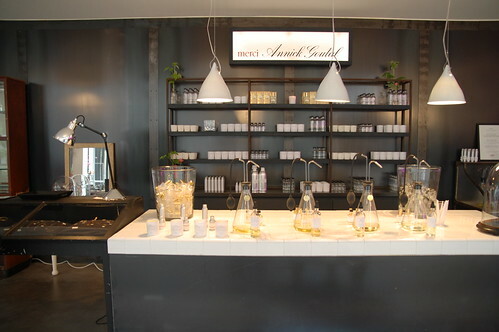 And Aanick Goutal is my favourite perfume — stumbled on it in Paris years ago….oooh. I love your bag!